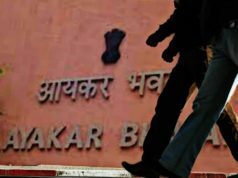 The party workers were seen dancing to the tunes of musical instruments outside Delhi headquarter. Several posters and banners are put up outside the headquarter office wishing their chief a happy birthday. 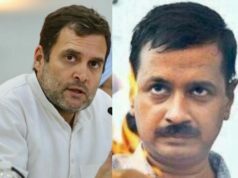 Several top leadership has extended their greetings for Rahul Gandhi on Twitter. The Congress Party President, Rahul Gandhi, turned 48 today and it’s a festival for the Congress party. 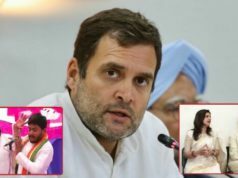 Rahul Gandhi took over as the party president in December 2017 from his mother, Sonia Gandhi and this is his first birthday celebration as the Party chief. 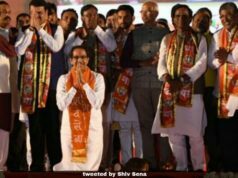 The 48-year old since December 2017 has been struggling to elevate the party’s sinking image after Narendra Modi took over as the Prime Minister of India. Rahul Gandhi entered politics in 2004 and is currently the Member of Parliament (MP) from Uttar Pradesh’s Amethi. He succeeded the seat after his father and India’s 6th Prime Minister, Rajiv Gandhi. It was in 2014 when Congress party started witnessing losses after losses and introspection was called upon. 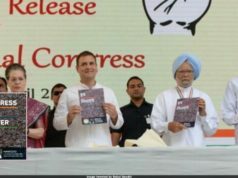 The then party president, Sonia Gandhi, tried every ways to encircle BJP with it’s strong accusations on the ground of caste, inflation and PM’s international tours. All the attempts seemed futile after Congress lost important states like Goa, Gujarat, Uttarakhand and several north eastern states including Assam. The reign was then transferred to Rahul Gandhi and he pledged to lift the party’s image before the people. The party hasn’t performed any better after Rahul Gandhi became the president of the Congress dynasty. The most recent election in Karnataka where the party performed not-up-to-the-mark but succeeded in securing the Dy. CM position along with entry in the cabinet ministry. 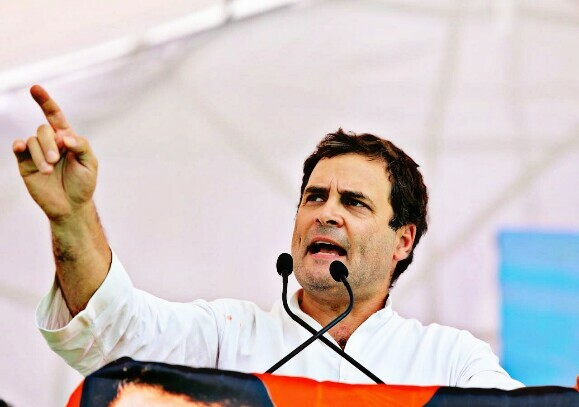 Rahul Gandhi has been projected as the Prime Ministerial Candidate since 2014 but as per many views’ shared, including the one shared by Anupam Kher, Rahul Gandhi doesn’t stand strong before the current Prime Minister, Narendra Modi, to be elected as the Prime Minister of India. It is a challenging situation for the 48-year old Party president to bring back the lost value of the Congress party and his own too. Coming back to Gandhi’s birthday today, there seemed festive zone outside Congress Headquarter in Delhi. The party workers were seen dancing to the tunes of musical instruments outside Delhi headquarter. Several posters and banners are put up outside the headquarter office wishing their chief a happy birthday. Several top leadership has extended their greetings for Rahul Gandhi on Twitter. We bring you the wishes shared on Twitter from across the nation for the 48 year old Congress chief. The first to come in the list is from our own Prime Minister, Narendra Modi. Birthday greetings to Congress President Shri @RahulGandhi. I pray for his long and healthy life. Best wishes to our leader, @RahulGandhi on his birthday. Roshan V is a Chief Editor in Ajanta News. He has good understanding of Politics, Tech and Relationship Topics. Do stay connected with him on our Social Media Platforms. 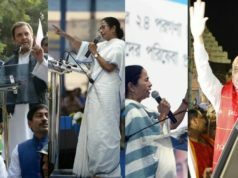 West Bengal Politics: Is Mamata Banerjee Ruling the State in the Hitler Style?